As the end of the year approaches, our list of to-do’s just gets longer and longer. Events are happening, exams are coming up, papers are due! It goes on and on. Don’t slack though! Procrastination can be fun at times but it can also be your worst enemy. Stay alert and on top of your studies, and push through these last few weeks! Take one task at a time and the more you knock priorities off of your list, the more you’ll be able to breathe a little. Push through, Dons! We’re more than halfway there! Always remember that in these next few weeks of stress, the LWC is always here to help you out! Don’t hesitate to stop by for an appointment! We got you. How do you manage your time effectively as a student? 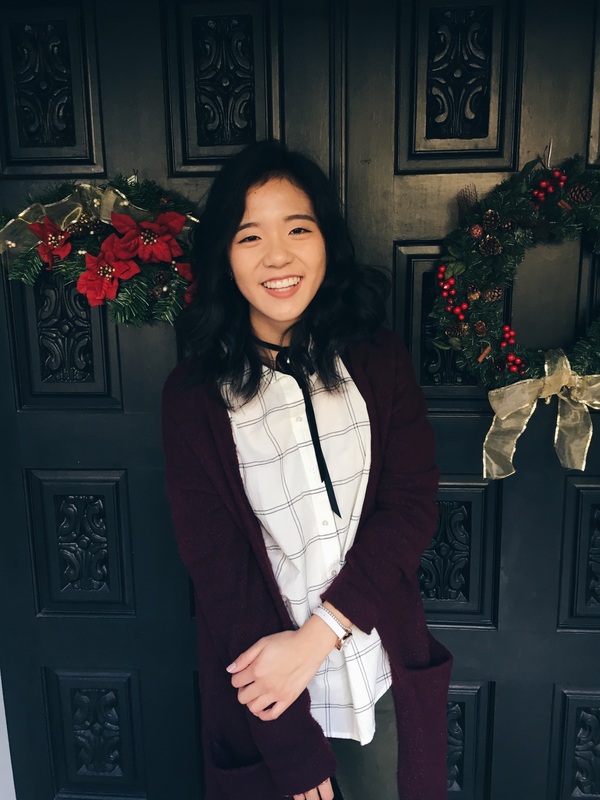 As a student, Joy budgets her time using “the planner method.” While her weeks tend to get hectic throughout the semester, she utilizes her planner to allocate time for studying, work, and herself. Joy recommends using the planner method when trying to budget your time as a student, employee, and a friend. Even if you don’t enjoy using planner’s, she recommends utilizing Google calendars to stay on track. On Sunday’s, she uses her time to plan out her commitments for the week and enjoys color coordinating what events happen and when. In terms of work, Joy works an average of 15 hours in the center with 5 to 6 hours reserved for peer to peer tutoring. Her week consists of 8 to 12 hours in the lab with time reserved for studying during the nighttime. As a way of scheduling work, she tries to limit herself to certain periods of time to allocate enough time for studying. When studying, Joy tries to plan at least two or three in advance for preparation, even though she wishes she could have at least a week to dedicate to studying for an exam. As a student, she wishes she could space out her time more efficiently in terms of studying for exams, but finding the time can sometimes be difficult. What strategies do you utilize to balance work and extracurriculars, while maintaining your grades? As a student involved in multiple different organizations and leadership positions, Joy can also struggle to maintain her grades at times. “I’ll think that I studied hard enough, prepared enough but sometimes I’ll get the exam score, and it’s not where I wanted it to be, so I’ll take a step back and think about: Did I really put in the amount of studying that I wanted? Did I feel that I was cramming more than I was preparing? When falling behind or being unsatisfied in her scores, she suggests turning the internet off if you don’t need it while studying. 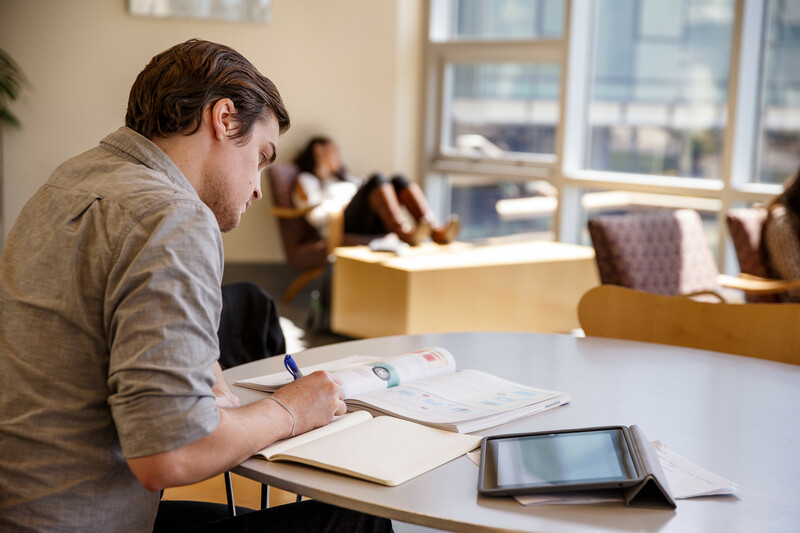 It can be easy to get distracted and watch videos rather than taking the time out to study effectively. While Joy suggests taking breaks, as they do help students to study better, she likes to turn off the internet to dedicate her studying to one hour or more. Joy also suggests setting timers on her phone that indicate when she can take a break. For example, she can spend a few hours getting through the first two chapters and then take an hour break, come back to it, and then take another break. How has the LWC helped you with time management? Joy’s work with the Learning and Writing center has helped her to set better deadlines to better manage her time. As lead tutors, Joy and her colleagues set up designated due dates that is best suited to her and the other tutor’s needs. Since her work is often collaborative and group work, she explains that the LWC helps to support her when she needs it. Through a student’s perspective as well, Joy suggests that tutoring has also helped manage her time throughout school. How will the skills you have learned in the center and as a student assist you in reaching your career goals? Graduating in 2017, Joy shares with us that the Learning and Writing Center has taught her how to budget her time, especially as a tutor. She emphasizes that allocating her time and responsibilities are skills that have been cultivated in her experience. Her aspiring goals of becoming a doctor have been shaped in particular ways by being more studious and truly focusing on the study strategies that she has learned in her undergraduate career. She also shares with us that the group aspect that she has had to work with assists her in her goals of becoming a doctor. Working on the clock and among other medical staff, Joy has learned how to be collaborative and worked on her interpersonal skills to maintain good relationships in the working environment.